Roof-top terraces provide the perfect spot to relax and admire the Tigris Valley and Raman Mountains. There's not much traffic in the mornings -- just a few people, like Uncle Emin, taking care of their gardens and livestock. 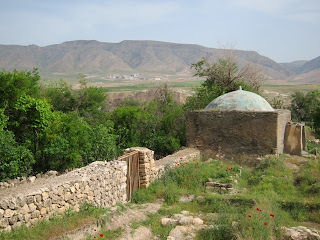 Uncle Emin directed me up a rock-lined path to the Baba Haydar Tomb, the central monument of the Salahiyye Gardens. The descendants of Sheikh Haydar, a Seyyit (descendent of the Prophet) who lived in the 14th-15th centuries, still live near the tomb. 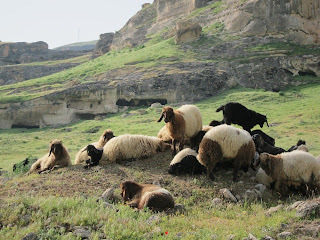 A little farther beyond the Salahiyye Gardens, you enter a pasture enclosed by small hills full of caves, thought to have once served as a monastery. Çoban (Shepherd) Davut brings his sheep, goats and cows to this pasture at the east end of the Lower City for morning grazing. Toward mid-day he heads into the canyon for water. Davut says he's happy to have a job and likes working independently. 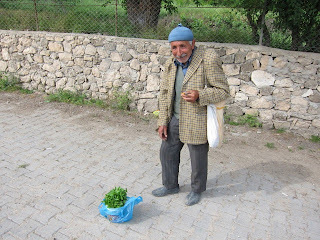 He considers himself fortunate to have a job that allows him to stay in Hasankeyf and meet his needs. 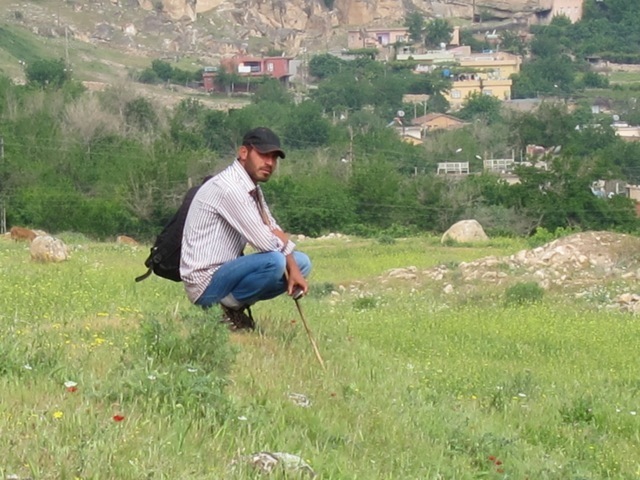 Most people, he adds, have to leave Hasankeyf to find work. 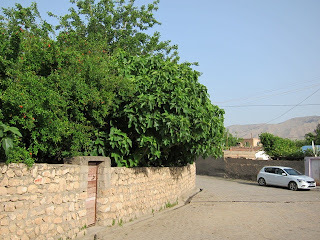 This is probably the biggest complaint in Hasankeyf: no work. Is it possible that with better job opportunities and an alternative plan for generating the 3,800 GWh promised by the Ilısu Dam, Hasankeyf could be a model for community planning? The basic plan of this ancient city consists of governmental offices (castle and palace), a commercial center, residential neighborhoods, and a garden district. 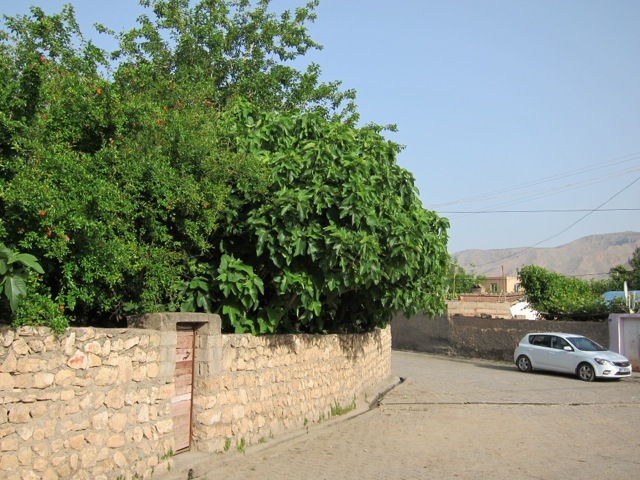 Hasankeyf, with its rock fences and tree-lined streets, has natural charm and livability. 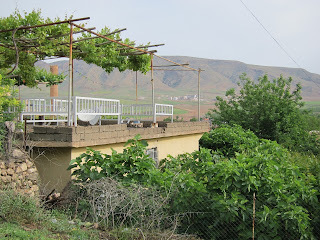 Garden plots and orchards are abundant in Hasankeyf, allowing people to eat well at low cost. Most residents can walk from home to the town center in 10-15 minutes, and regular public transportation links the town with Batman, Midyat, and Mardin. In addition, the town has abundant open space for recreational activities and extraordinary natural and historical resources to support educational and research for ages and levels. Might the gardens of Hasankeyf inspire a new sense of sustainability in urban design? "Might the gardens of Hasankeyf inspire a new sense of sustainability in urban design?" They should be a model to us all! Thank you, Phillip! Hope you'll see these gardens in person before too long.